Historical records show that Gouda has been produced in the Netherlands since the 12th century and ranks among the oldest surviving types of cheese in the world. While Gouda is always made from cow’s milk, and generally tastes relatively mild and creamy, there are large discrepancies between different regional recipes, meaning that the word actually represents a style of Dutch cheese, rather than a specific food stuff. Although Gouda is named after a city in Noord-Holland, the cheese has been produced throughout the Netherlands for centuries. In fact, it is almost certain that Gouda cheese did not originate in Gouda, but was given this title as the city was one of the few places in the country where cheese producers and merchants could exchange goods during the Middles Ages and Renaissance. 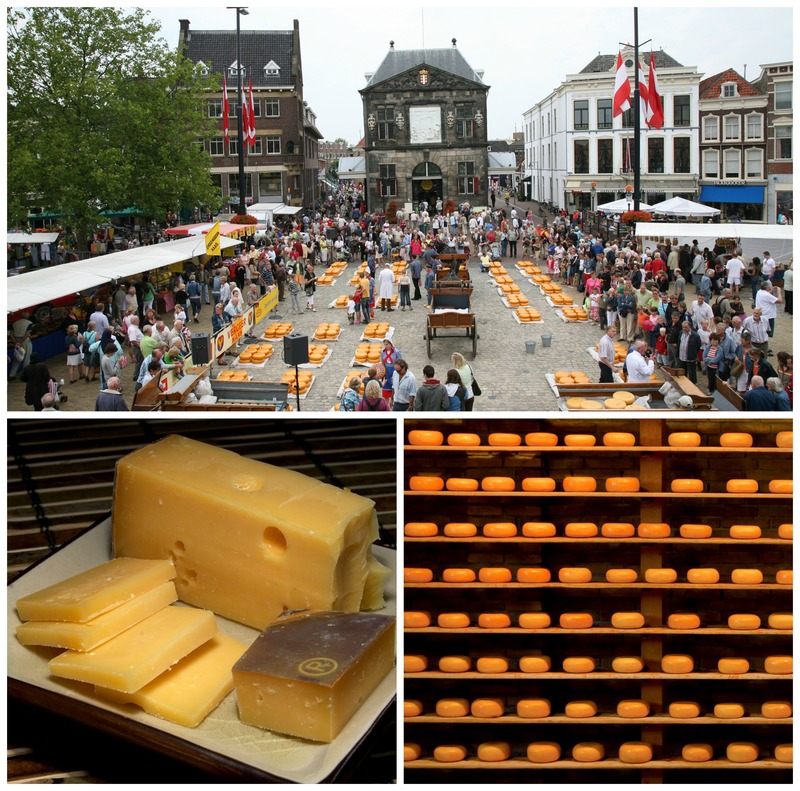 Throughout these periods, Gouda held a monopoly on the cheese trade and possessed the largest cheese market in the Netherlands. Hence, the most common type of Dutch cheese became Gouda, due to the city’s synonymity with the dairy trade. During the warmer months, local traders still travel to Gouda to sell their cheese and often dress up in traditional clothes that hark back to the city’s heyday. Gouda is traditionally made from unpasteurized cow’s milk and coated in a yellow wax that prevents it from drying out during its maturation. As Gouda is now produced on an industrial scale, it is quite uncommon for it to be made in this manner as milk spoils much quicker when it is unpasteurized, making it an unprofitable choice for large-scale producers. Nonetheless, over 300 farms around the Netherlands still make Gouda in the old-fashioned way. This type of Gouda is given the title Boerenkaas (farmer’s cheese) and is protected under EU trade laws. This cheese must be made from untreated milk and prepared according to certain historical standards. Today, regular Gouda has become an international staple and is regularly considered to be one of the most popular cheeses in the world.